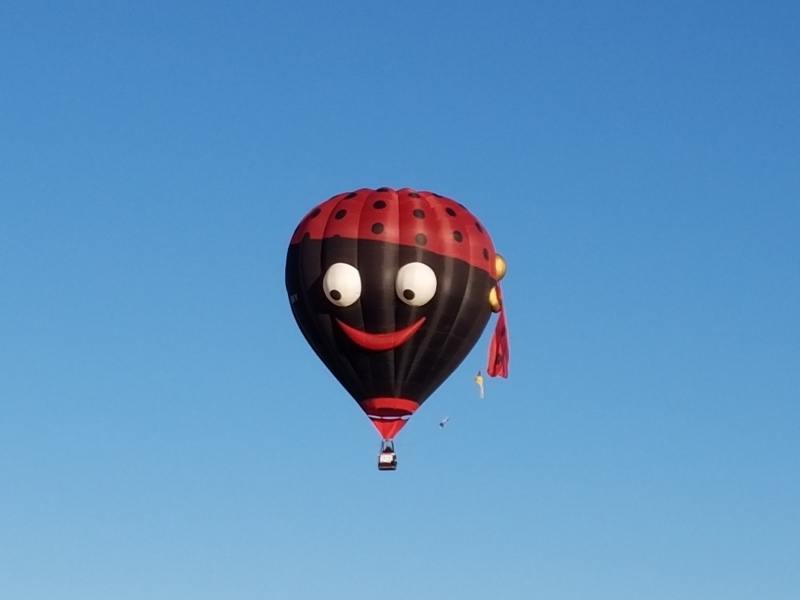 We’ve all seen at least one Hot Air Balloon in the sky during our lifetime. Many of us have also marveled at what it would be like? 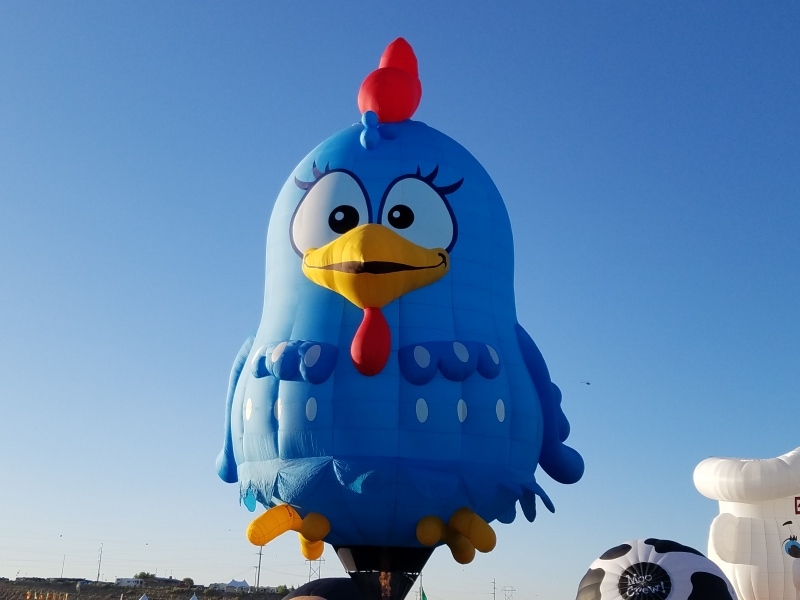 Well, the Albuquerque Hot Air Balloon Festival is your ticket to finding out! 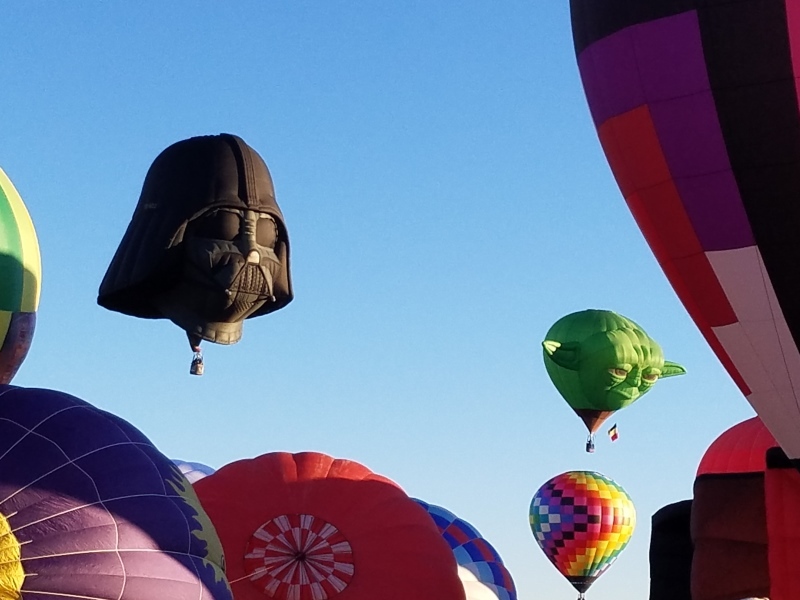 This Festival is the largest gathering of hot air balloons in the US, for sure. 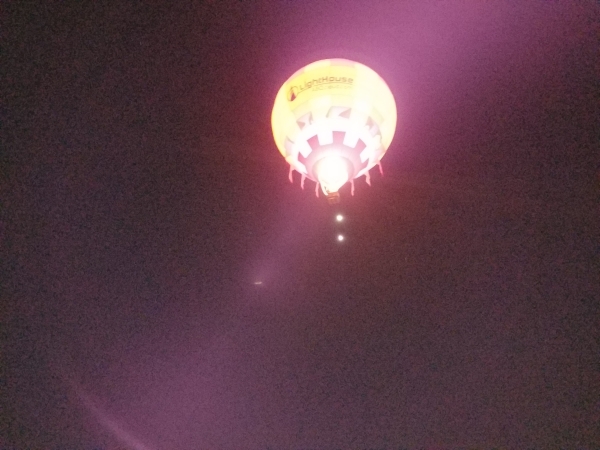 Apparently, the location itself is unique in that a balloon can ascend to a certain height and go north, then descend or ascend again and go south!! It is somewhat of a “Box Canyon” and favored by many of the pilots. We went for the first time in October, 2017. 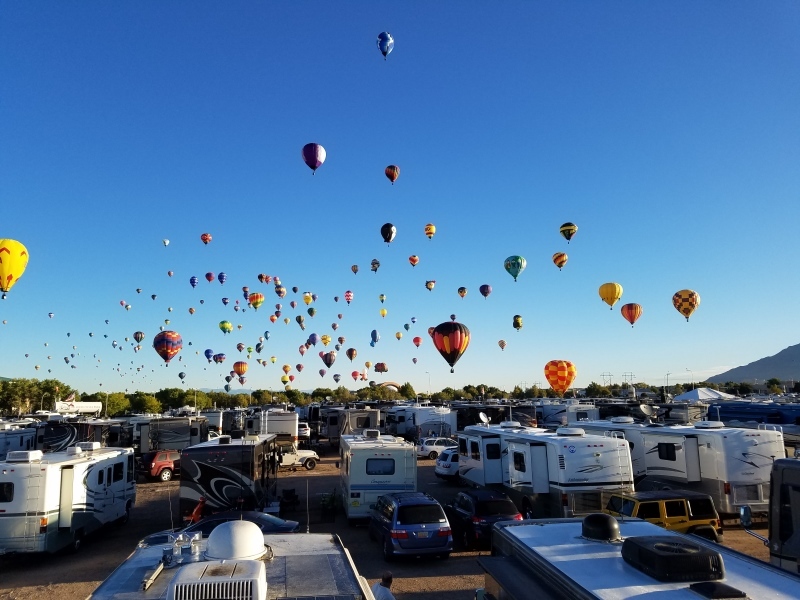 It is well organized – perfect for RV’ers and just an incredible sight to take in. 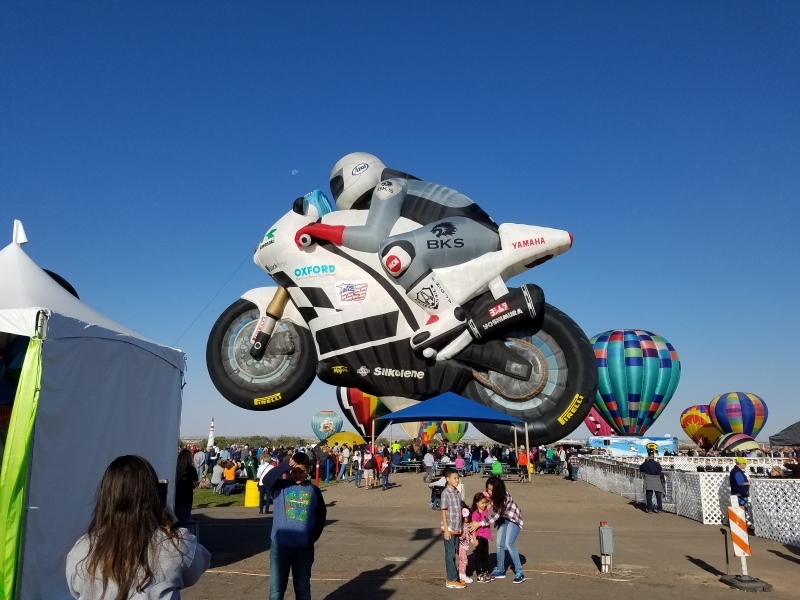 It is held for 9 days in early October, with well over 500-600 Balloons!! 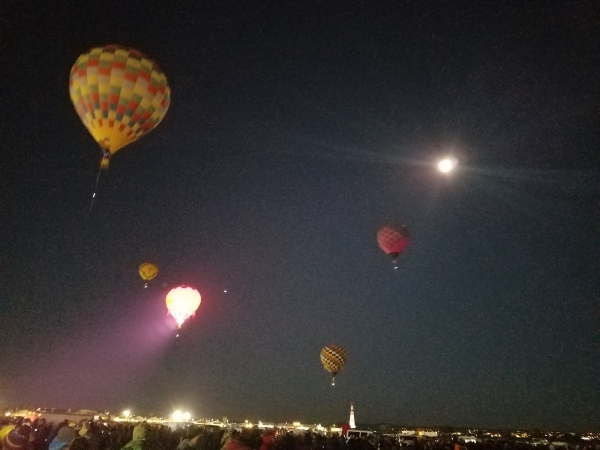 Just imagine that many lighting up in pre-dawn ceremonies and then taking off at dawn!! It is strongly believed to be the most photographed event in the world! As RV’ers, we always worry about parking, maneuvering, etc. - No worries here!!! 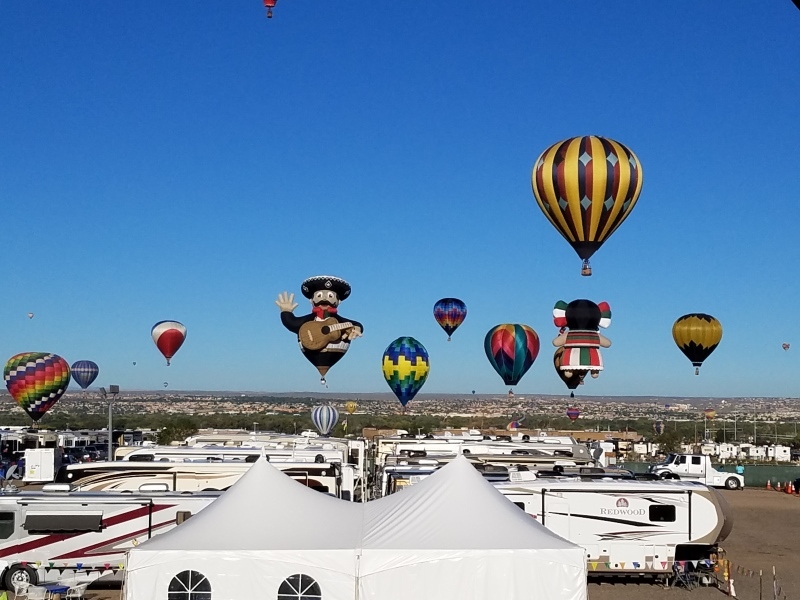 They have a field, just below the main area with all the balloons, that accommodates all the RVs. It is extremely well organized. Depending on your needs, they also have water and dumping trucks right on the premises. Buses shuttle you back and forth within minutes - the police even have special lanes setup only for the shuttles. No sleeping in though!!! 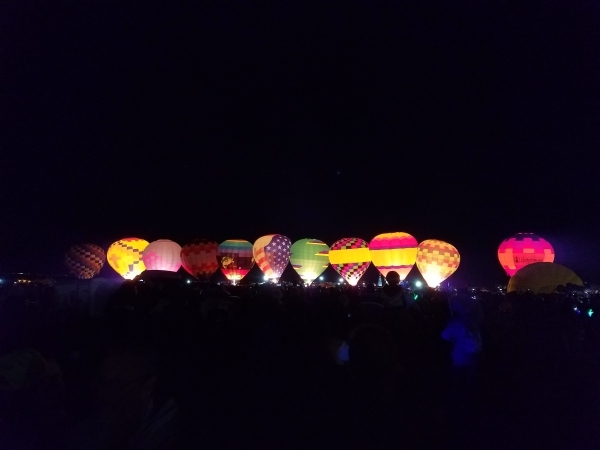 The really cool stuff starts before dawn – they “lightup” dozens of balloons at the same time in the dark – WOW!!! 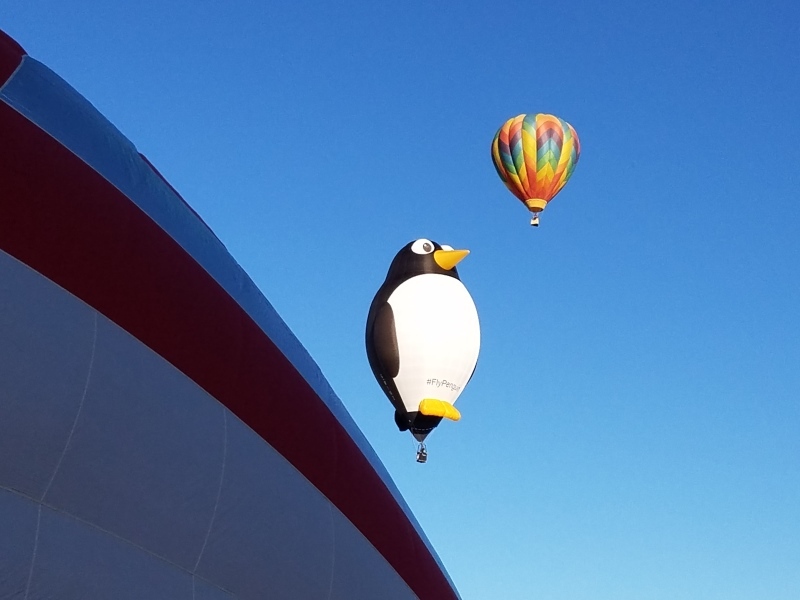 Even better, you can wander anywhere within the balloons themselves. 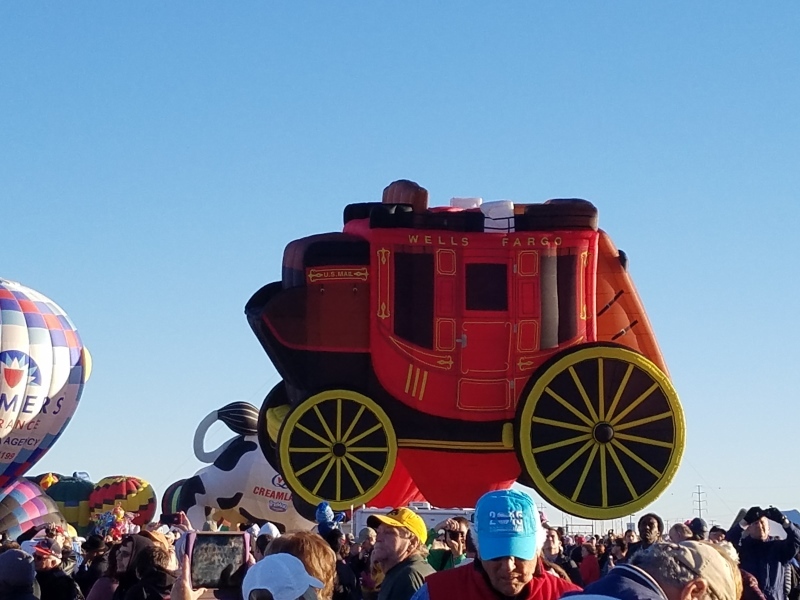 I’m sure many even helped some of the balloonist inflate their colorful and uniquely shaped balloons – quite a process, for sure. 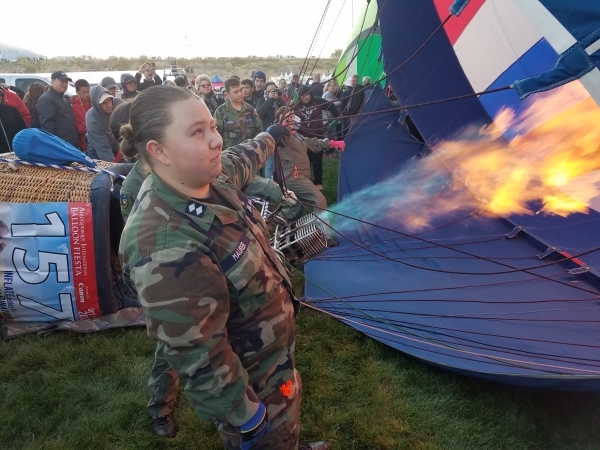 They also hold a “Gas Balloon” race (hydrogen or helium). 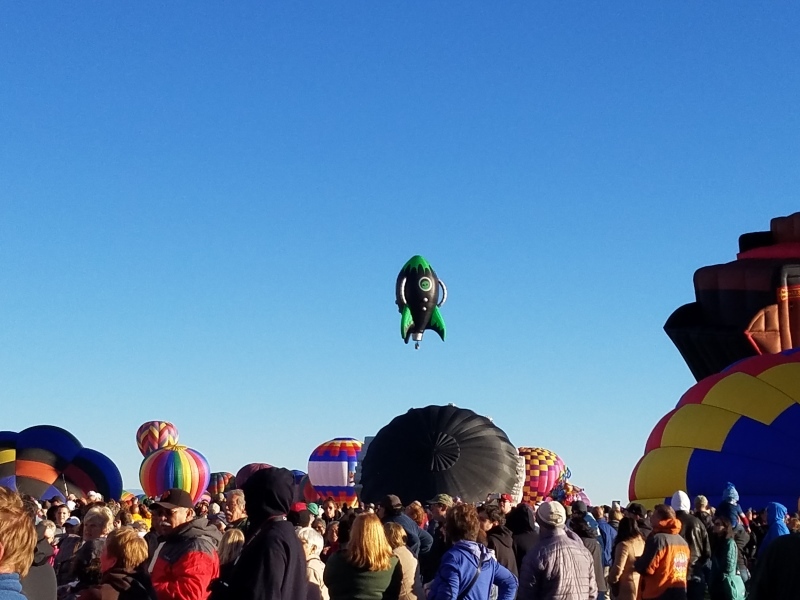 This year had 8 participants that all took off from the exact same spot, to see how far they could get. The Swiss Team set a new record – 2,281 MILES!!! 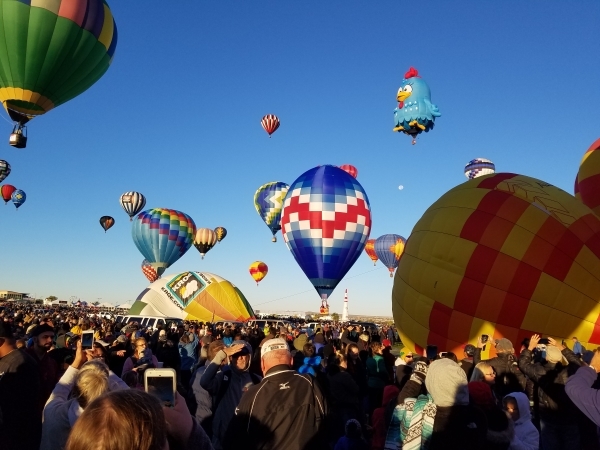 They landed near Labrador City, Newfoundland, Canada – almost the Atlantic Ocean, from Albuquerque, New Mexico! 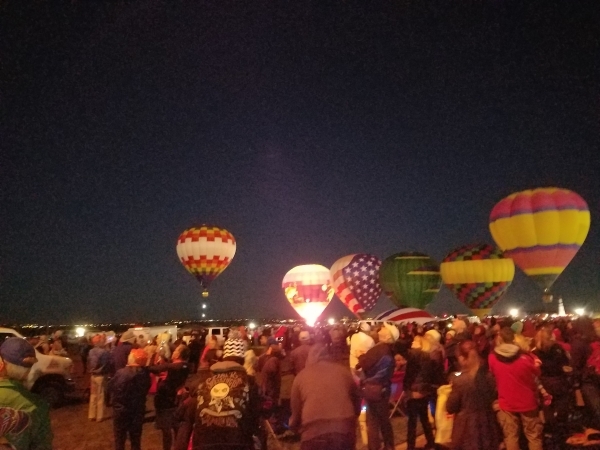 The organizers have special “areas” for various organizations and groups of RV’ers – however, there were plenty of just “plain-folk” like us that enjoyed all the events, without having to “belong”! On the way there from the Arizona, we stopped at a Speedco in Milan, NM (Exit 79 of I-40) and had our diesel pusher and generator serviced. Really great people that know what they are doing and it only took a couple of hours, rather than all day!! Much easier on the wallet too! Want a great Memento of your visit? After the Festival, we went south from Albuquerque down to Socorro and then east on Rt. 60 to get back to Prescott. 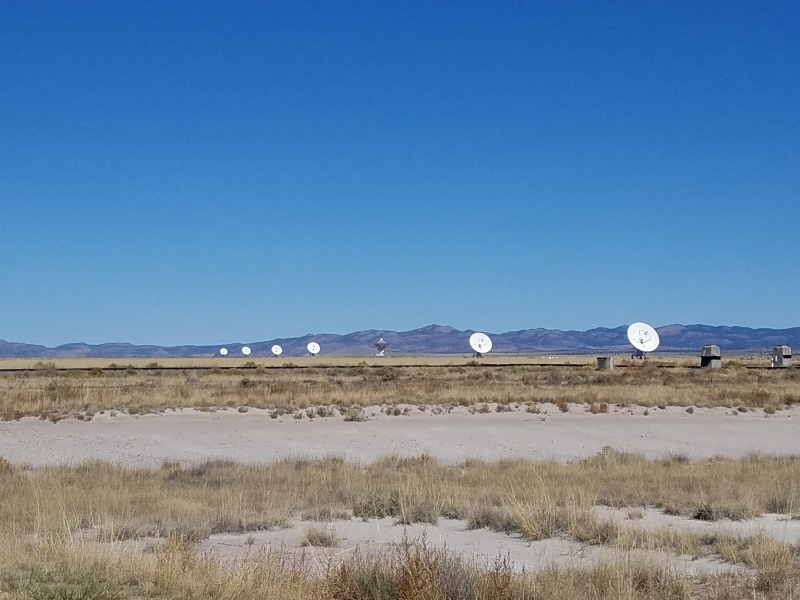 We even stopped and had a tour of the HUGE “Very Large Array” – Famous astronomical radio observatory, in the middle of a very large and flat arrangement of satellite dishes. Kinda cool – unless you see it and go to it, most of us don’t even know this type of place exists! 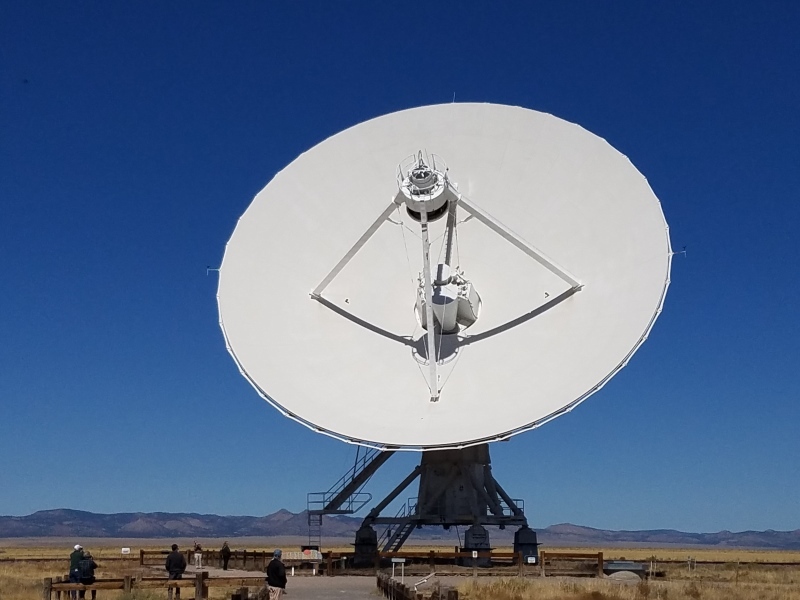 While we were standing at one of the huge dishes, it started moving to track something else, spooky – but neat! All in all, a great RV Bucket List Trip! 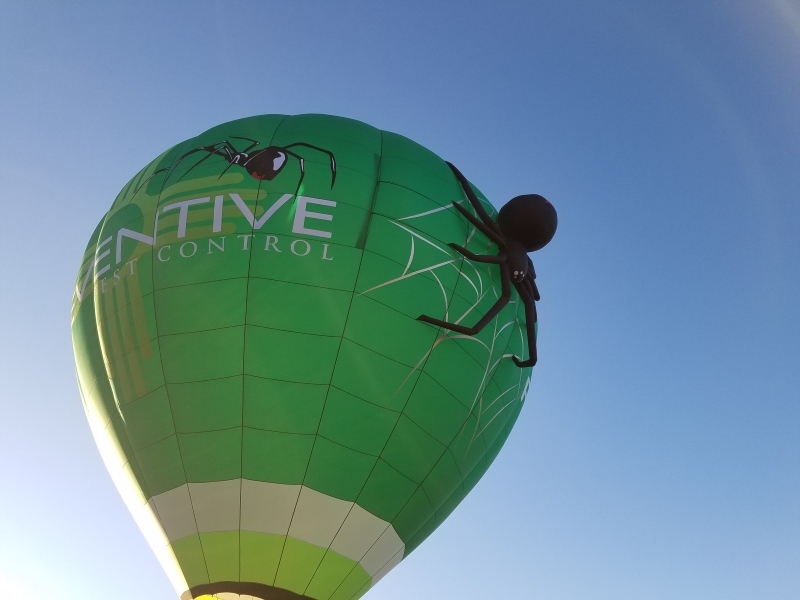 Hope to see you there next year – we’ll be there, and going for a Hot Air Balloon ride too!